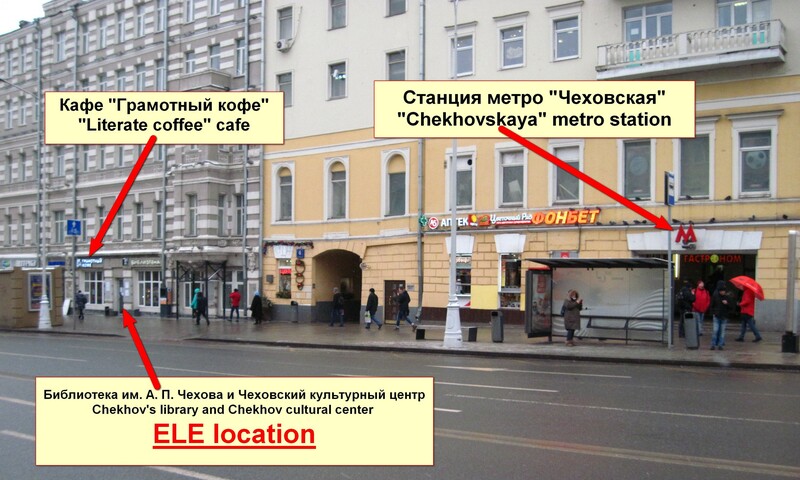 Take a metro to Chekhovskaya station. 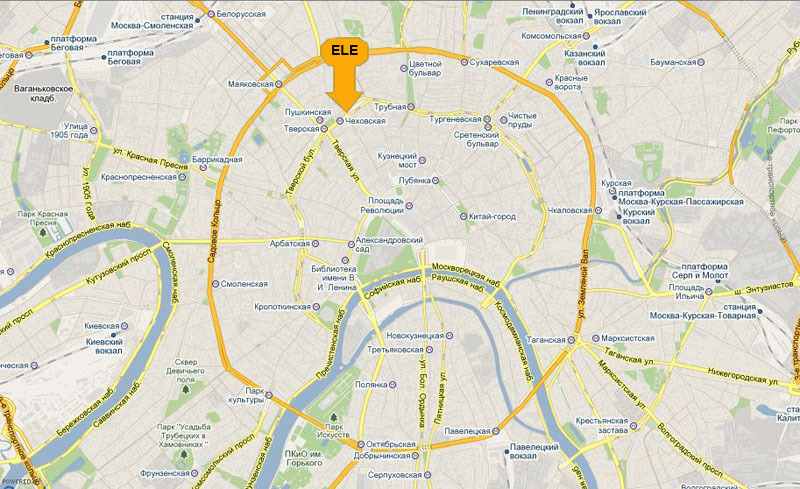 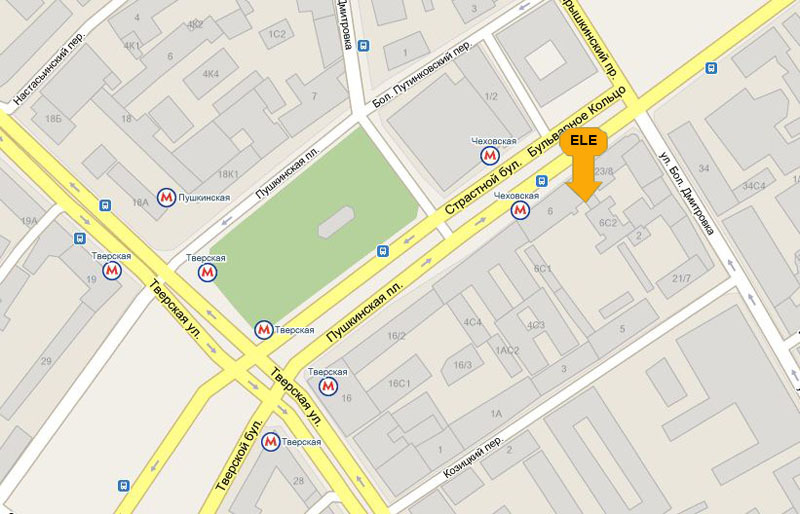 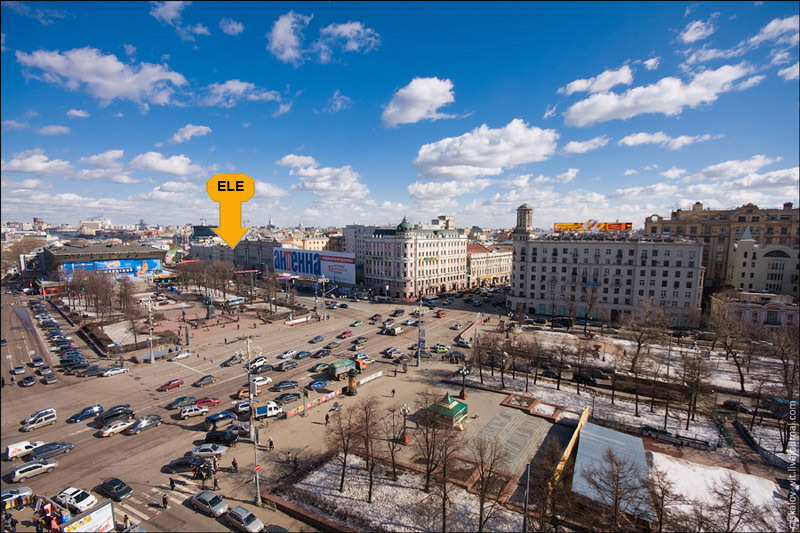 Just go north of the Metro Chekhovskaya street exit - somewhat across from the large cinema at Pushkin Square. 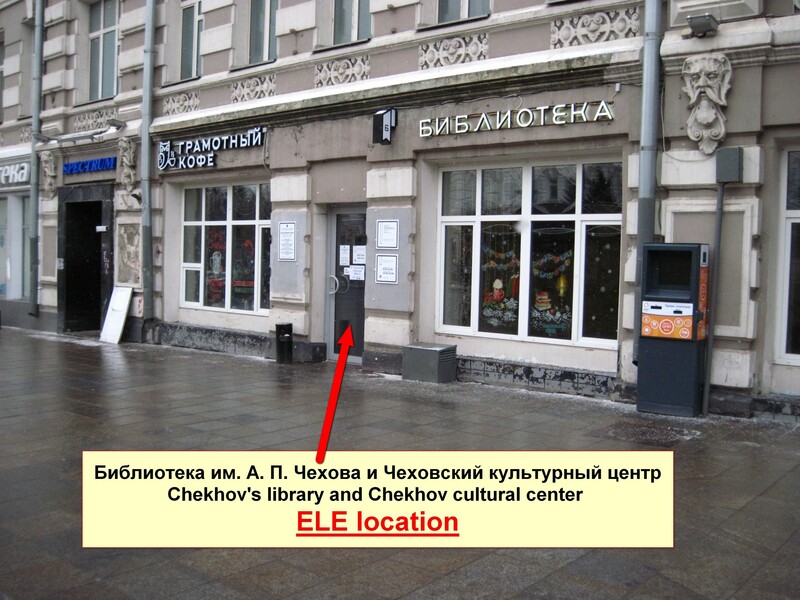 Look for the "6" on the building; take the door between "Грамотный кофе" ("Literate coffee" cafe) and "Библиотека" ("Library").